Most people don’t realize it but, while they are man’s best friend, dogs can very easily subject you to liability which you would not expect or plan for. Liability for dog-related injuries is governed by Florida Statute § 767.04, which provides that the owner of a dog is liable for the injuries caused by that dog to any person or persons in a public place or to persons lawfully within a private place (like your home, yard or car). This does not only apply to your dog biting someone when he comes into your yard. If you are walking your dog on a leash and the neighborhood children run up to pet the dog and are bitten, you are liable. If your dog runs across the road causing an automobile to swerve and crash, you could be held liable. If, while being fed table scraps by a guest in your home, your dog bites a guest’s hand when he only meant to bite the hot dog he was being fed, you are liable (even if your dog has never bitten anyone before and has no history of being a danger). If you let your dog outside to do his business and he runs into the street and chases a passing bicyclist, causing that person to wreck or otherwise injure him or herself, you are liable. The bottom line: in the State of Florida, a dog owner is responsible for any damage done by his dog to persons or property. Call Morgan & Barbary’s Melbourne, Florida injury attorneys today for a FREE telephone consultation to discuss your legal problem: 321-951-3400. There are certain defenses that can be raised by a dog owner to protect themselves: if the injured person provokes or aggravates your dog into aggressive action; if you have posted a “bad dog” sign; or if someone is trespassing on your property when the bite occurs. All of these actions can be raised as an affirmative defense to defend a dog bite claim. In addition, you should know that most homeowner’s insurance policies provide coverage for damages done by dogs. If your dog bites someone, your first call (after calling Morgan & Barbary for legal advice) would be to your insurance carrier to confirm what coverage you have available to you and how you can help the person injured by your pet. Be aware, in recent years, insurance companies have grown weary of the strict liability that travels with dog ownership. More and more, we are seeing coverage that specifically excludes certain breeds of dogs or in the case of some companies, specifically excludes ALL dogs from their coverage. Unfortunately, this is the world we live in. If you’re injured through the acts of someone else’s dog or your own dog makes the unfortunate mistake of getting you into trouble, talk to a competent professional who knows the ins and outs of dog bite liability. You can never be too careful or too well informed. As always, the Melbourne, Florida attorneys of Morgan & Barbary will be happy to address your concerns. 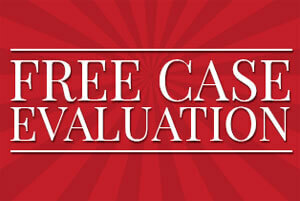 Call us today at 321-951-3400 for your FREE telephone consultation on any issue you’d like to discuss.